Last week, I walk into Sephora at AEON Klebang, Ipoh to buy a good makeup brush set. 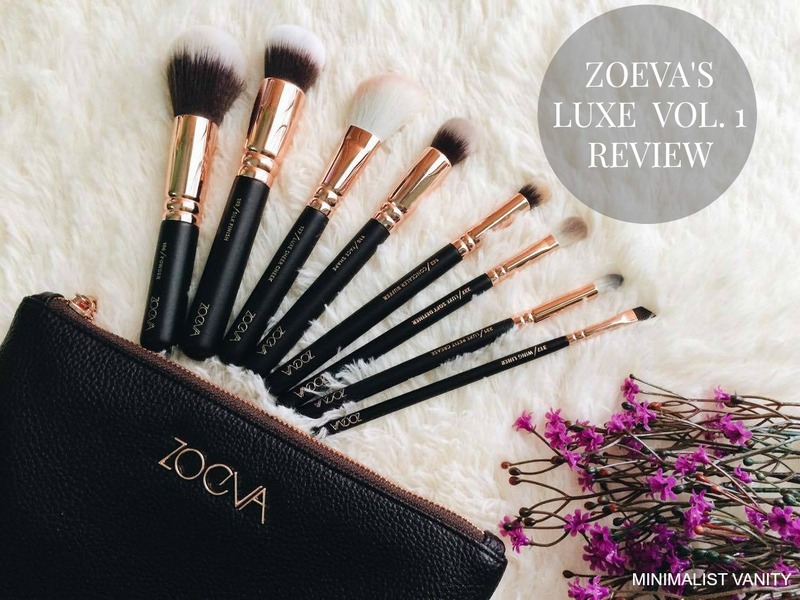 Recently, I heard a lot of hype about ZOEVA brushes from youtube gurus and other bloggers. Some people claimed that these brushes are comparable with the popular brush Sigma. Some people say that this is the dupe for the Sigma brushes. Personally, I feel splurging money on good brushes are worth because of its quality and durability. This is the package you will get when you buy this brush set. As you can see, packaging wise it is simple, minimalistic and sleek. I really like the packaging. This brush set is came with a big and sturdy clutch. I think this clutch will be by just using as a clutch not just as a makeup bag. 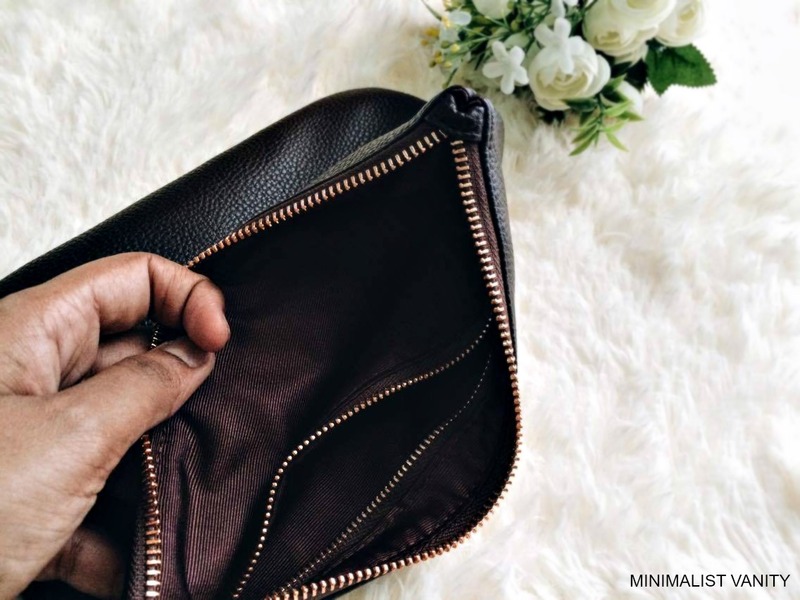 This clutch has a one big compartment and inside the big compartment there is a smaller compartment which came with a zipper to secure your stuff to move around a lot. Besides that, this clutch material is amazing because it has leather texture ( not original leather ) and printed brand name ZOEVA is rose gold metal which is glued sturdily in front of the clutch. 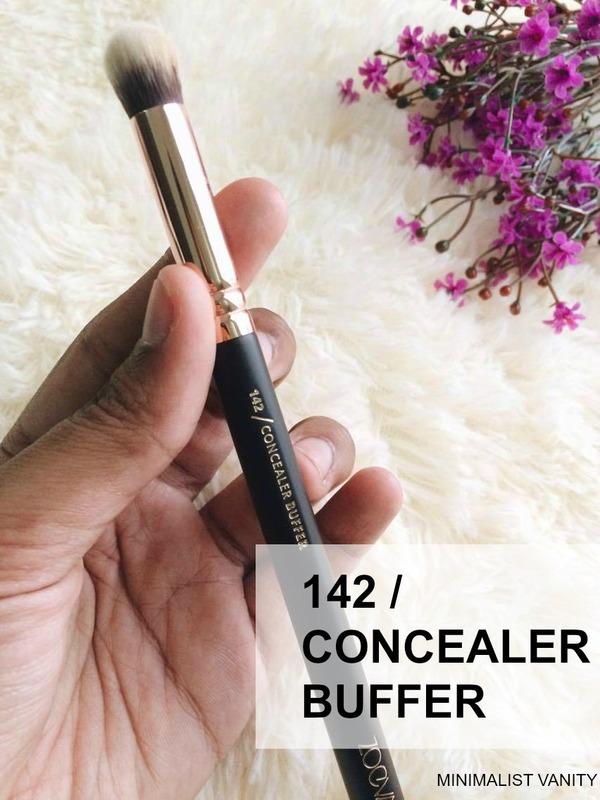 Concealer buffer brush is dense and the bristle is short which makes the application goes smoothly. The dense bristle picks up the right amount of product to apply whereas the short bristle gives control to buff the product into our skin.I find this brush applies my concealer as smooth as butter. I haven't try this brush on cream contour yet but when I use powder to contour my cheekbones it still distribute the decent amount of product although this brush is made from synthetic hair. 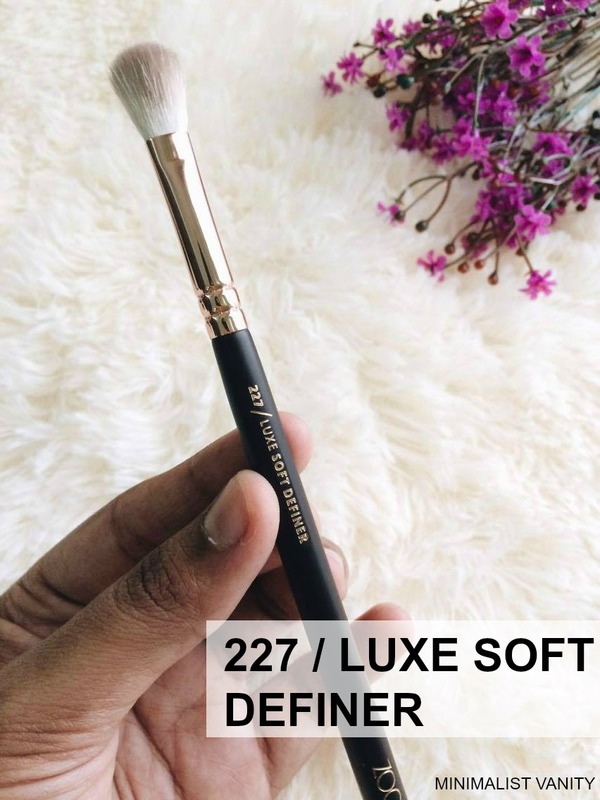 Plus, this brush blends like heaven which doesn't leave any harsh line behind. I use this brush for my outer V of my eye and blend it into my crease. Since it has short and sturdy bristle it gives the control as well as doesn't really spread the colour especially dark eyeshadow colour all over my lid. This brush has a good precision. The powder brush works like a usual powder brush. 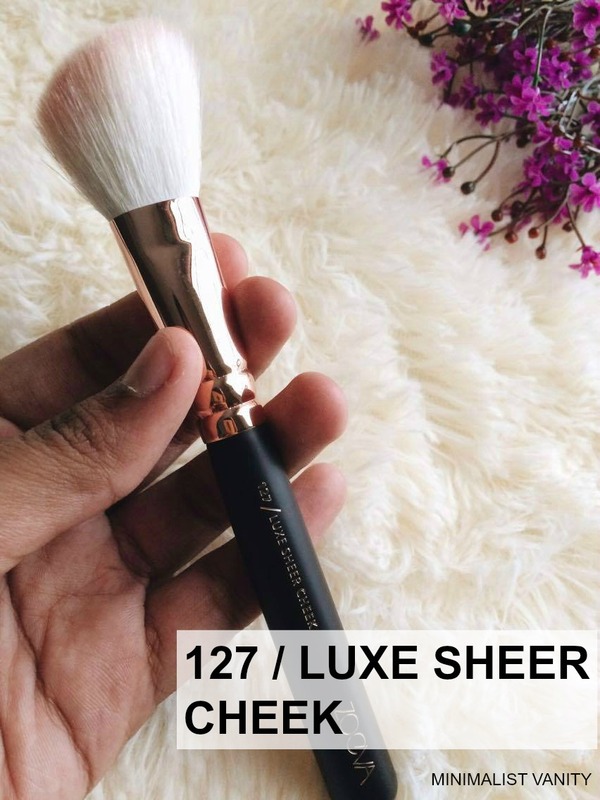 The bristle is longer in this brush which makes the application goes nice on the face because you just need to dust the powder to set our makeup. Plus, the bristle is so soft and it feel nice on the face. From the name Sheer Cheek brush we get the gist that the application going to be sheer which is a good thing because this will prevent you from applying crazy amount of blush on your cheek and makes you look like a clown "hahahahaha". Of course the coverage is build-able. Because this brush is made of by natural hair it picks up powder really well and distribute evenly. 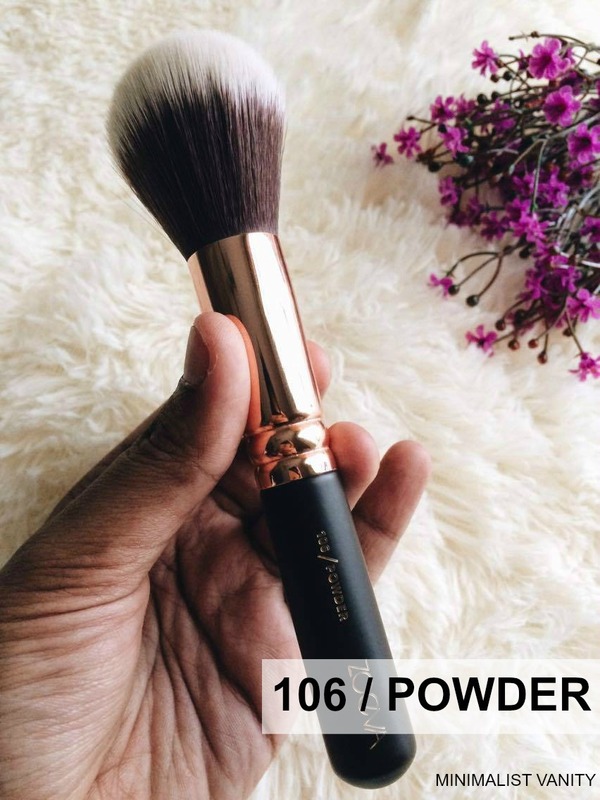 I personally haven't use this brush yet for my foundation because I love to use the 104 Buffer brush from ZOEVA to buff my foundation. 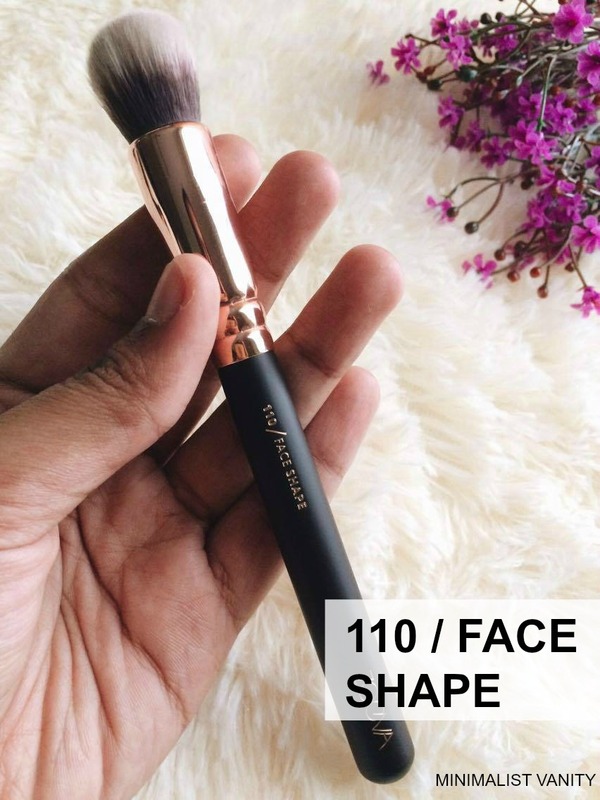 However, I heard a lot of good review about this brush on applying foundation. Some are saying this is better than real technique and close to beauty blender. Anyhow I will try on myself before I jump into any conclusion. Therefore, stay tune my update on this brush very soon. Unfortunately this is my least favourite brush among this set because I find this brush doesn't do anything for me. I expected a lot from this brush but I just feel disappointed. The product this brush pick up isn't that good and it is really hard for me to blend or apply my shadow with this brush if this is the only eye makeup brush I have. 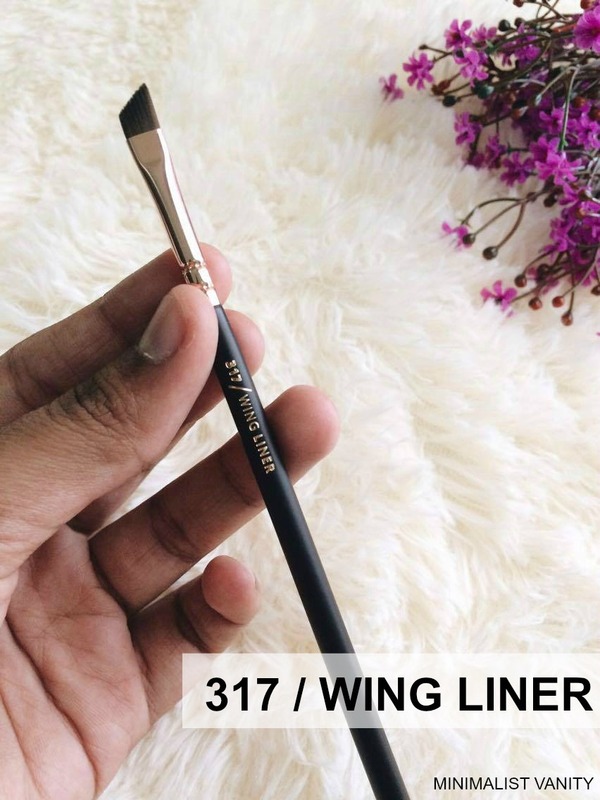 Finally, Wing Liner brush is the slanted liner brush which can be use for the brows as well. 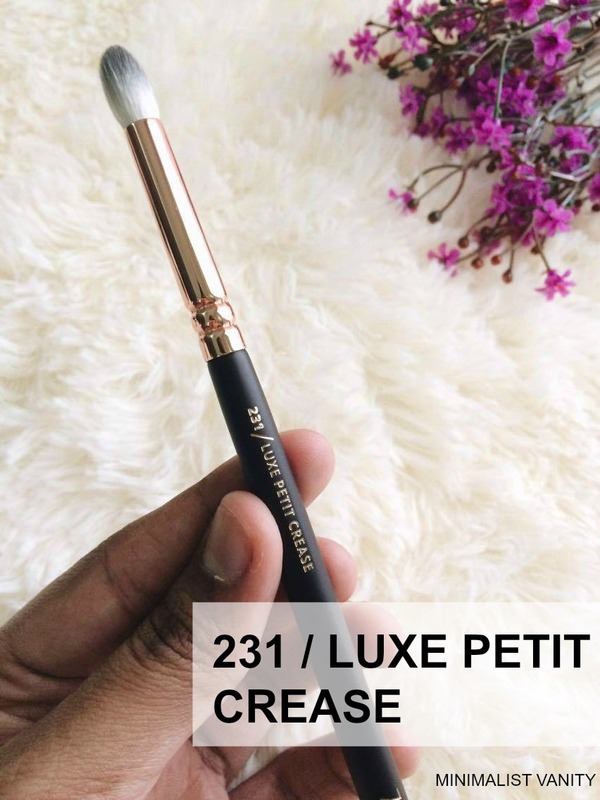 I personally prefer this brush for my brows because I don't use gel liner to use this product to line my eyes. 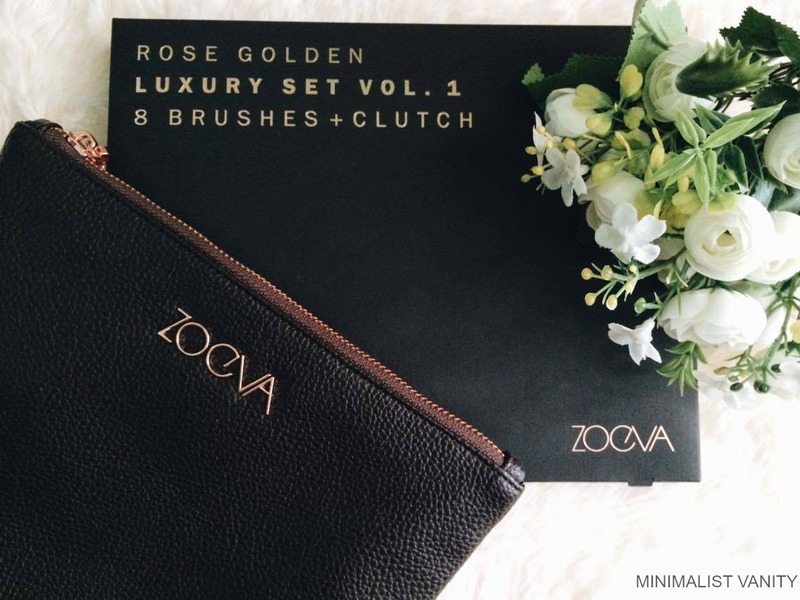 This is a good brush to have "ok Lahhh..."
The ZOEVA Rose Golden Luxe Brush set Vol. 1 contains 8 essential face and eye brush for your everyday makeup routine. There is a mixture of natural hair for powder and synthetic for liquid or cream. All of the brushes are same in height which looks beautiful when display on the vanity table. The brushes aren't that huge nor too small it is just nice to hold in our hands and perfect for travelling too. If we sum up the price of all of the brush listed above is RM 653.00 (163.12 USD ) but since I bought these brushes in a set it saves me a lot. The price of ZOEVA rose golden luxe brush set in Malaysia is RM 494 in Sephora. This set came with a clutch which I mention before this. Not only that, because I purchase more than RM 200 at ZOEVA counter I got a free standard ZOEVA concealer brush which I use for my colour correcting. This is a good brush to invest on. However, I don't feel satisfy with this the eye brushes in this set. If you have good face makeup brushes and hunting for good eye makeup brushes try the ZOEVA rose gold eye brush set Vol. 2 which I hear a lot of good review from other bloggers. Do you think this ZOEVA brush set is worth the money? Would you buy this brushes anyway? 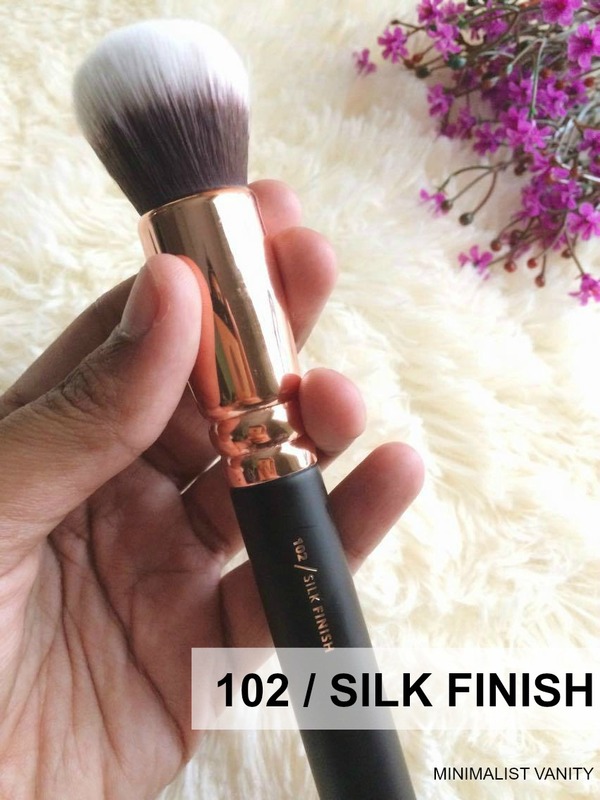 update : the silk finish brush is pretty good in applying the foundation. However, I would like this brush to have pointy tip which will be easier to reach to the nooks and crannies on our face. To be honest I personally prefer the Zoeva buffer brush instead. "HELLO ! 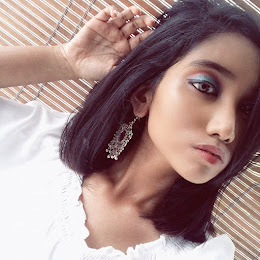 My name is Priya and I'm a Beauty & Lifestyle Blogger based on Perak, Malaysia This blog is a platform for me to express my passion towards everything beauty but I have heart and soul of being a doctor. Not a beauty expert but sure a beauty junkie."